“How am I going to do that?”, he replied. I knew he wanted be the good guy to his employees, so I told him I would work for him Christmas day IF he gave me a weekend shift in the new year. He thought about it a moment and then told me to come down at midnight and spend some time with the overnight dee jay. If I past muster with him, we had a deal. After three or four nights working with Rick the overnight guy, I was pronounced ready. Christmas Day, twelve-oh-one a.m. I flipped the mic switch and went on the air. The program director had given me one instruction, “Try not to say too much.” Well, on today’s show, I break that rule. Today we have a very special show in a couple of ways. 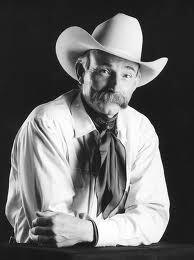 First, we get to talk to Baxter Black, cowboy poet, writer, and well, cowboy. And, I tell you how this interview came about. If you’ve listened to this podcast in the past, you know I have a knack of getting myself in spots that are above my skill level. This is one of those times. It’s a story of reaching a bit far, maybe a little to far, and while stretching out there, losing track of one’s goals. Anyway, no one died, and only one of us broke a sweat. Here’s the story of what happened behind the scenes of the great Baxter Black Interview of 2014. I hope you find it entertaining. Baxter Black became a large animal veterinarian despite having poor grades. He found his way onto the speaking circuit. He wrote and performed commentary on National Public Radio. He was on the Tonight Show with John Carson for heaven’s sake. He learned how to entertain people and he does a good job at it. Yeah, I know what your asking, “How did he end up on your show?” While I wonder the same thing, I can tell you he is a generous man in terms of his time and patience. I know, because I place a lean on both. 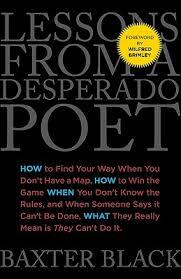 The book I talk about in the podcast is called Lessons From a Desperado Poet, subtitled How to Find Your Way When You Don’t Have a Map, How to Win the Game When You Don’t Know the Rules, and When Someone Says it Can’t Be Done, What They Really Mean is They Can’t Do It. It could be called a self-help book, but that might be selling it short. It is chalked full of good ideas and motivation. And, it’s not just about business – it’s about life too. I would have like to have had him do a poem or give us a little recitation of one of his commentaries, but I while I was talking with him I realized that would have been like asking someone over to your house for dinner, then asking them to cook. I just could not do that. Sorry Technical difficulties with this podcast. We are working on it! It was a good day in Bakersfield when I received a return email from Tommie Turvey saying he would be on the show. My email had caught up to Tommie at the Pennsylvania Horse World Expo. We scheduled a time we could connect once he returned home to Summerville, Georgia. 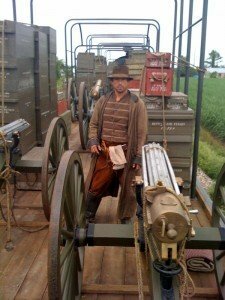 I called him at 6 am, it was 9 am Georgia time, and Tommie Turvey was in his office managing his Liberty Horse Ranch and working on the Facebook page for his Mustang Blade. (Click on the link and it will take right to Blade’s page to give it a “Like”. You can also check out PokerJoe’s Facebook Page). You may have seen Tommie’s YouTube video – it’s had over 4 million views. If you have ever seen Tommie on TV or at one of his shows, you know Tommie is not only a very good rider, he is an excellent trainer. He is an even better interview with all the stories he has to tell. Tommie shares some tales from his early years On today’s show. Working in the entertainment business has given Tommie Turvey a wide range of knowledge about horses and people. Sure he can ride, but he performs stunts from the back of a horse that will make you shake your head in wonder. (Sometimes, he’s not even on the back of the horse) I knew we would get into training tips and styles, but I really wanted to know how Tommie Turvey got to the level he is today. We go through his early years and the time he spent at Medieval Times in Florida and Arabian Nights Dinner Theater in Florida where he talks about learning to trick ride and performing in front of an audience. 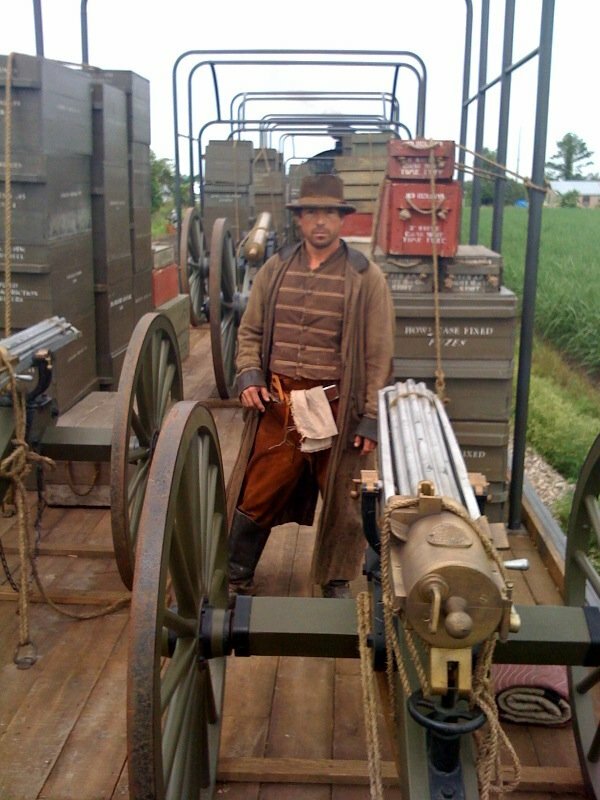 We even hear the tale of Tommie’s adventure in Paris with the Disney Wild West Show. We touch on a number of different topics, such as training dogs and cats. Then we find out a few things he has planned for 2014. He is hosting an Open House at his Ranch and he will be at Equine Affaire Ohio. I think you will really enjoy this interview with Tommie Turvey. A new feature on the Whoa Podcast, my Ride Off Into the Sunset. Yes, I am trying to utilize my writing skills. Yes, I am working on techniques of audio production. And, yes, I am shamelessly plugging some of the things I enjoy. But, I think you will enjoy them too. So, this is where I’ll editorialize a bit about topics important to me. This week I talk about podcasts. 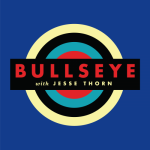 One podcast in particular that has influenced me, Bullseye with Jesse Thorn. No, it’s not beneath us to try and bribe you to listen. Courtney at ThextraScoop.com is doing it again. Here’s your chance to win a pound of Karbo Combo+. Hidden in this podcast is a “Word of the ‘cast”. Listen in, find it, then email the word to info@thextrascoop.com. That’s it. You will be entered. We’ll announce the winner on a future show. If you want to learn more about how Karbo Combo+ can help your animals check out this podcast with Dr. Smith, the creator of Karbo Combo+. On today’s show, Rick Lamb, host of The Horse Show with Rick Lamb radio and TV programs stops by and we chat about his life with horses. 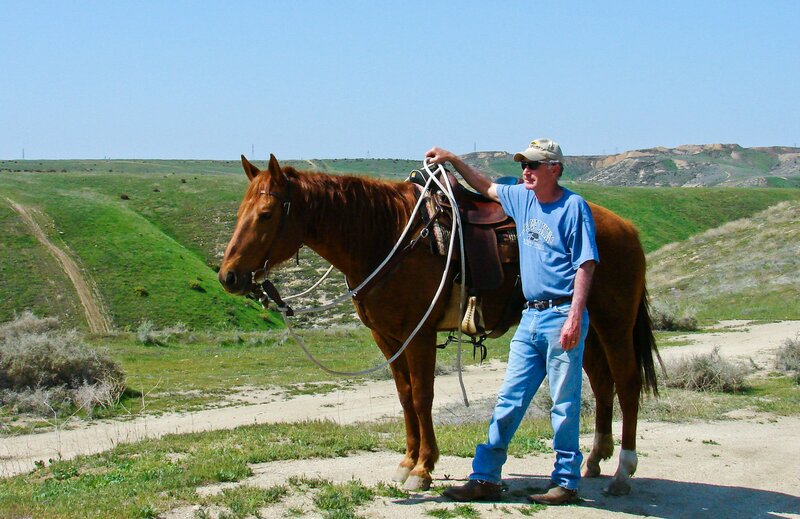 Rick Lamb is an example of someone loving horses and working to make a life out of it. I believe one of the reasons Rick Lamb is so popular is because he is so very easy to relate to. There is a little bit of him in all of us. He had a boyhood fascination with horses and kept following it until he found a place in the horse world. 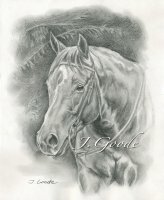 He took his experiences in the recording studio and blended them with his knowledge of horses and his desire to teach. Rick developed his radio show and emceed many horse expos and demonstrations. He found good people, like Dr. Robert Miller, to co-write a book with, then wrote his own. He developed a TV show on the RFD network and it is no surprise it quickly grew in popularity. And, Rick Lamb continues to grow by working on a doctorate on educational technology so he can keep on teaching people what he has learned about horses. Rick tells us a little about his journey and some of the key moments in his life. 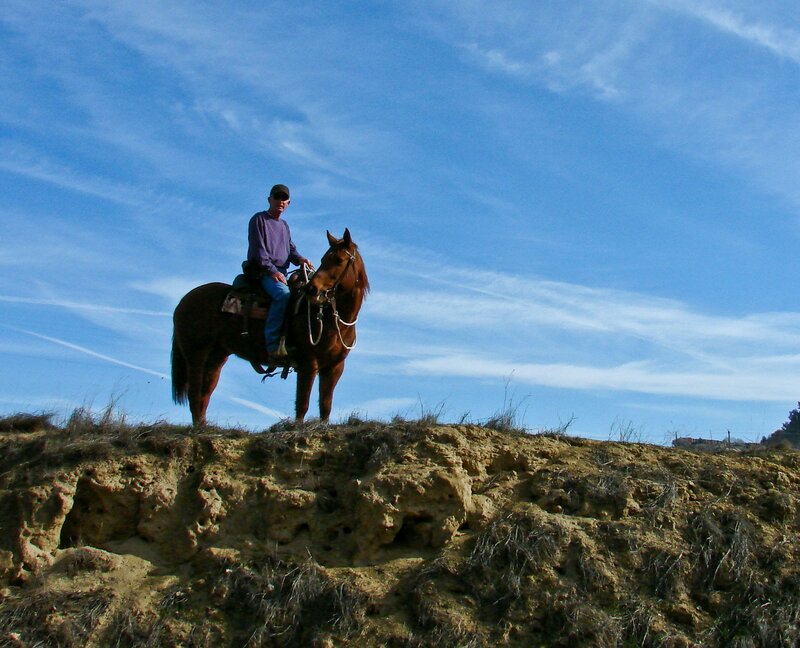 We hear how Rick got his first horse and a little about the trials he had getting them home to his ranch in Arizona. We also get to hear about Rick’s experience interviewing and hosting numerous shows with some of the biggest names in natural horsemanship. Rick touches a little on his relationships with Clinton Anderson, Dr. Robert Miller, Pat Parelli and John Lyons and how they all had an impact on his life and career. 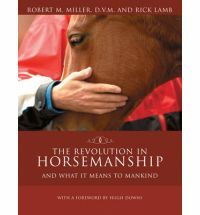 One of the most interesting topics, (maybe it is because I would love to raise a foal someday), is imprint training that Rick and Dr. Miller talk about in the book A Revolution in Horsemanship. Rick tells us how if the training isn’t followed, the results could leave you with a problem horse. But, if done well you get a much more confident horse. Talking with Rick was just so comfortable. You know I’ve only been doing this a little while. I make no bones about my interviewing skills. I know I don’t have “the pipes” to really be doing a podcast. Rick recorded his side of the conversation at his home studio and sent me his side of the file to mix together. He was very patient and generous with his time and was open to any questions I wanted to ask. His TV show can be found on RFD-TV. Check out their website for details. As always, we are very interested to hear what you have to say about this episode. You can email us at: john@whoapodcast.com And, if you have any comments or suggestions for future show please pass them along. Thanks for sharing these podcasts. Our numbers are really growing and we owe it all to you, our loyal horse loving listenership. You guys are the best! June 2013 – A couple of years ago there was a “Life in a Day” project, where you filmed a part of your day, edited and it might be part of a movie. Ranae and I put one together, but we never submitted it. I just found it and we are making it public. I doubt it will generate much “watch time”. Some of the footage is quite raw. Still, it was fun going back and seeing some of the older projects. It was one of the first times we tried to make an artistic video. It was also the first time I had an extended monologue looking right into the camera. That’s a tough deal. But, that what the Life in a Day project was about. I find projects like this educational and fascinating. It forces me to be aware of sound. It forces me to be aware of camera position. It forces me to see the story I’m trying to tell. There are just so many things to keep track of. It really makes you appreciate those people who are really good at this process. While I don’t pretend to be adept at movie making, these are the challenges I enjoy. I also enjoy spending time with my horse. And, showing her off. She is a good friend. She’s a good horse. She tolerates my indulgences. I also enjoy spending time with my wife. She doesn’t much enjoy the video stuff. She is also a good friend. She is a great wife. She also tolerates my indulgences. Who could ask for more. We do not have a particularly exciting life. Maybe not good enough for a movie. It is pretty good though. We hope you enjoy this little glimpse of our life in a day. This week it is the second part of our visit with Matt Sheridan. In this segment Matt tells us the story of the Extreme Mustang Makeover and his experiences with Luna, the BLM American Mustang. Matt explains how he with worked Luna for 92 days and got her prepared for the competition. Matt takes us step-by-step how he work with his little mustang. Matt gained the trust and confidence of Luna. He knew he would have to get the horse used to the crowds, the noise, and the strangeness of civilization. Matt talked about how he prepared for the competition. He knew he would have to prepare for both the riding segment and the groundwork segments. Matt explains how he broke down the training into different parts. Then, Matt tells the story of the actual competition at Cal Expo. Matt talks about ow much of a challenge the competition turned out to be. There were several days of the competition. Matt had conditioned Luna using King Feeds. The next part was the trail competition. Only ten horses out of thirty were going to make it to the finals. Matt goes on to tell us a little about his family and how the are following in Dad’s footsteps. Matt is a featured rider in the upcoming Project Cowboy show airing over three weeks on RFD-TV beginning on February 14. ( Links for RFD-TV and Project Cowboy ). Matt tells us about the event and the different challenges he had to face. And ever the teacher, Matt offers us 3 keys to improving your horsemanship. Matt’s insights into working with both people and horses is what makes Matt Sheridan Horsemanship such a successful training stable.